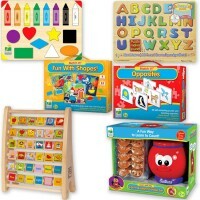 Shapes, Colors and Numbers - all early math themes will be covered as the preschoolers play the World of Learning 3-in-1 matching puzzles game. 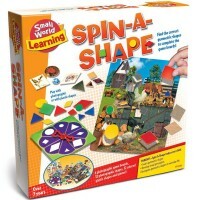 Small World Learning series designed a great early math puzzle game for preschool learners. 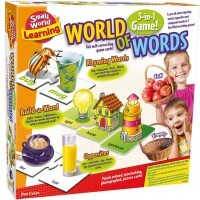 World of Learning 3-in-1 Early Math Games Set by Small World Toys brings 3 developmental games in one box. 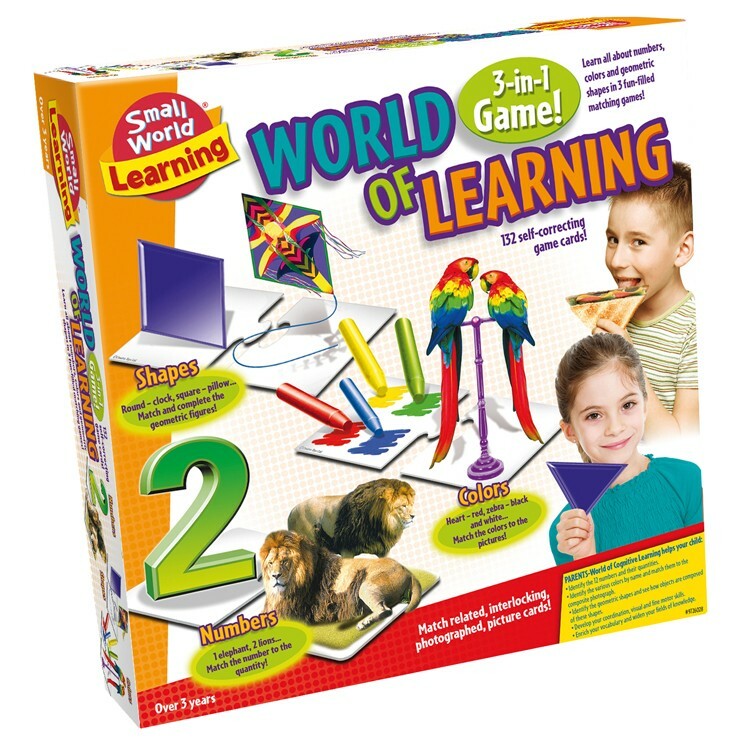 This educational super game set includes 132 self-correcting puzzle cards to play 3 educational matching games. 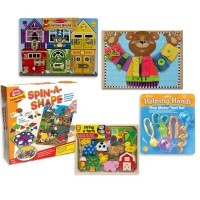 Shapes, Colors and Numbers - all early math themes will be covered as the preschoolers play these matching puzzle games. 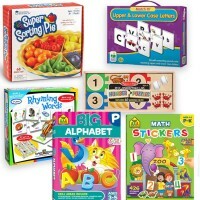 Match the color on the puzzle cards Count 1-12 and match the numbers to the right quantity of things on the puzzle cards. 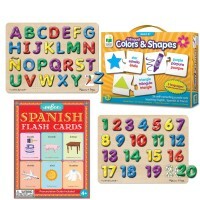 Identify different colors by name and match them to the composite photo card. 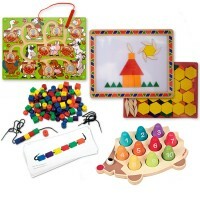 Match the geometric shapes to the shaped objects on the puzzle cards. 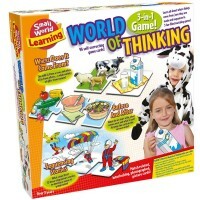 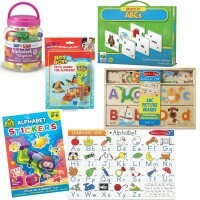 World of Learning 3-in-1 Early Math Games Set enrich thinking skills, promote visual perception and refine motor skills. 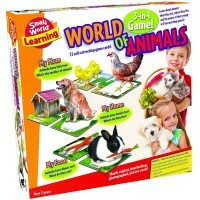 This educational 3 matching puzzles game from Educational Toys Planet is an ultimate addition to your preschool or home developmental toy collection. 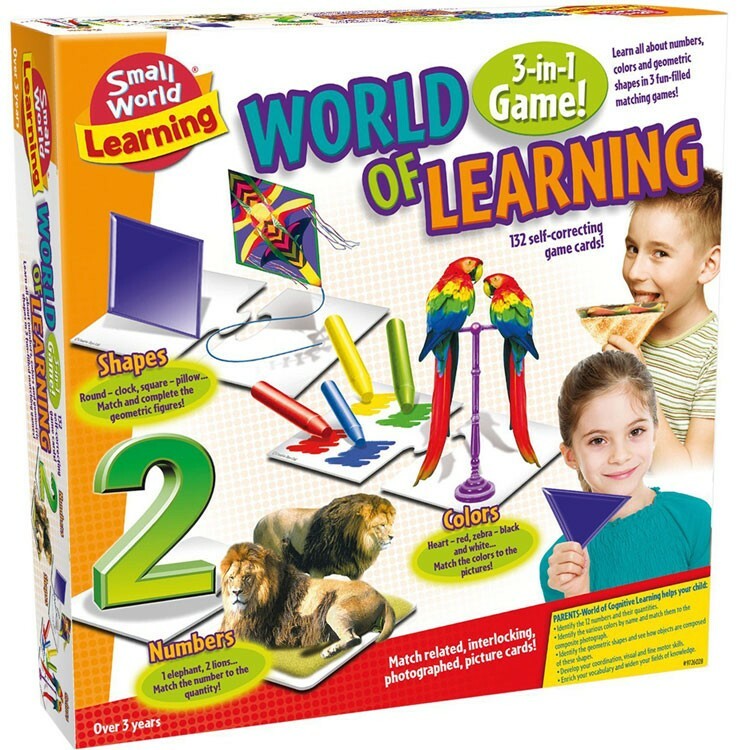 Write your own review of World of Learning 3-in-1 Early Math Games Set.